Ginny Messina is a registered dietitian and is the creator of the website, The Vegan R.D., where she talks about Veganism and how it relates to your health. She is also an author, co-authoring the books Vegan For Life, Vegan For Her and Never Too Late To Go Vegan. I've followed her on Twitter for a while and I like that's she very informative and knows her stuff but still knows how to party. 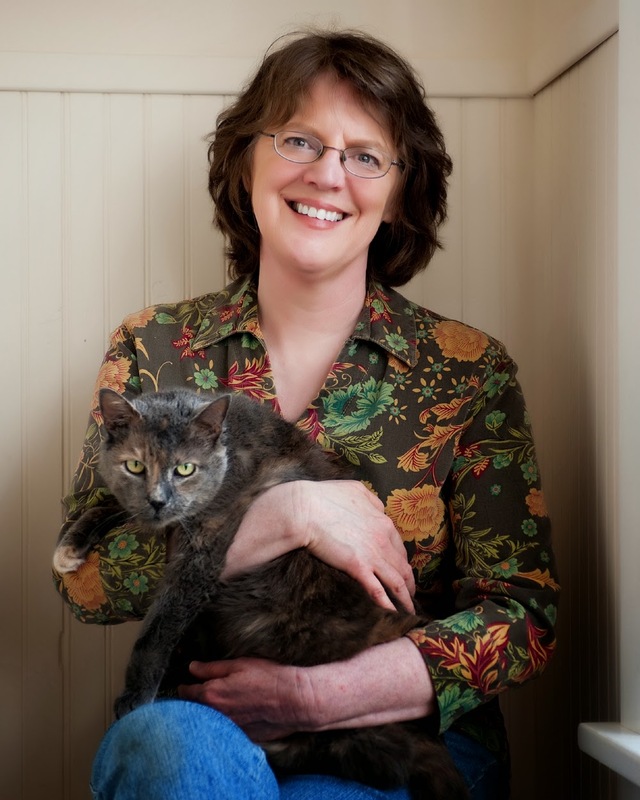 Also, Ginny is a cat lover and volunteers at her local animal shelter and is involved in feral/spay/neutering programs. So I've always been curious about what kind of Vegan goodies Ginny likes. And now we finally get to know! I just tried the Gardein sliders (chicken variety) and they are pretty great. But my favorite vegan meat is actually a sausage product—Field Roast Apple and Sage Sausage. Tofurky Chik’n Pot Pies. Comfort food at its best! I’ve been a Tofutti Cutie fan for a long time and I especially love the mint chocolate chip variety. I like that they are mini ice cream sandwiches, so I can have one for a treat without too much guilt. And they are really good! Stacy’s Simply Naked Pita Chips. Talk about hyper-palatability. I can’t have them around but buy them once or twice a year for parties. I’ve never been a fan of cold cereals, although I occasionally eat them as a snack—never for breakfast. I do eat rolled oats in soy yogurt every day, so guess that’s my current favorite. Go Max Go brand Mahalo bars. A decadent, but compassionate alternative to Almond Joy. I love the accidently-vegan Maple Leaf Cookies from Trader Joe’s. Tasty Bite brand Chunky Chickpeas (I buy them at Costco); Trader Joe’s Rice Medley, made with brown rice, red rice, and black barley, and cooks up in 3 minutes in the microwave; Peanut Butter and Company’s Dark Chocolate Dreams. It’s been wonderful to see the selection of vegan cheeses growing and improving, through both commercial products and great recipes. But we still don’t have a good vegan brie. I can’t say I actually ate brie that much in my pre-vegan days, so it’s not as though I especially miss it. But it would be great to serve one up for omnivores at a party. My local food co-op has a reasonable selection of vegan foods even though their philosophy tends toward the “happy meat” perspective. I also find good vegan choices at the local Safeway and at Costco and Trader Joe’s. 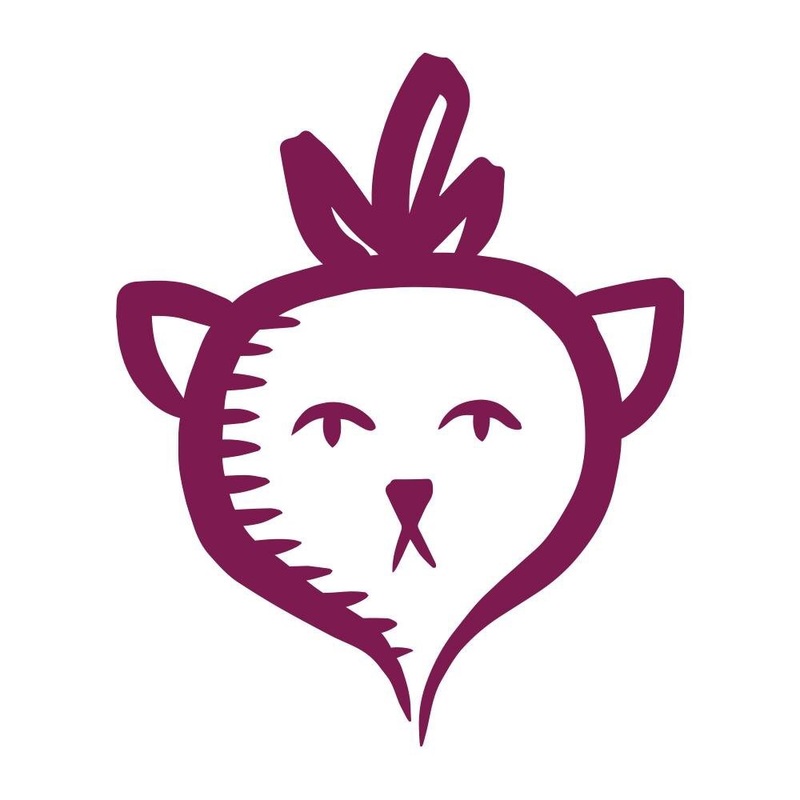 For harder to find items, I am very grateful for online vegan stores like Pangea and Vegan Essentials. And that concludes The Laziest Vegans Top Ten. Thanks Ginny! 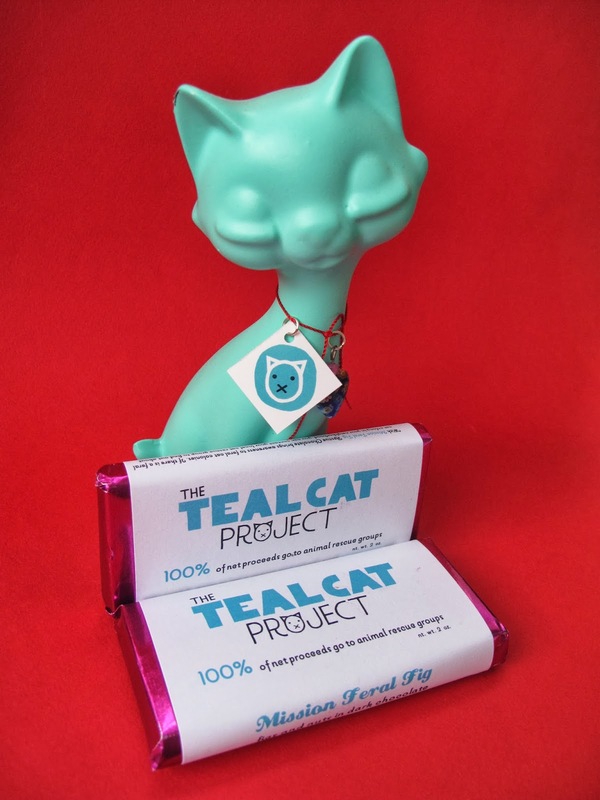 I've been pretty lucky the last couple years helping out with The Teal Cat Project because it means I get first dibs on the special Valentine's Day candy! The first year it was Lagusta's Luscious Tabby Toffees. And last year was the Valentine's Day Sampler from Obsessive Confectionary Disorder. Those are some really awesome all-Vegan companies that you need to be supporting and their products are amazing. This year we teamed with Rescue Chocolate! A great company that donates all of their net proceeds to animal rescue groups. With the Mission Feral Fig bar, all of the money is going straight to TNR programs in Rescue Chocolate's local area. I've had Rescue Chocolate bars in the past and I LOVED them. The Mission Feral Fig is no different. As you can see, the Mission Feral Fig bar is packed full of figs, almonds and dried cranberries. Quite chock full of goodness! And if for some reason you are not a fan of figs or nuts, you're in luck! Rescue Chocolate has many different kinds of chocolate bars that are sure to meet your needs. Some of my favorites include the Peanut Butter Pit Bull and the Fakin' Bacon chocolate bars. Thank you again to Rescue Chocolate and thank you for everything you do for the animals! 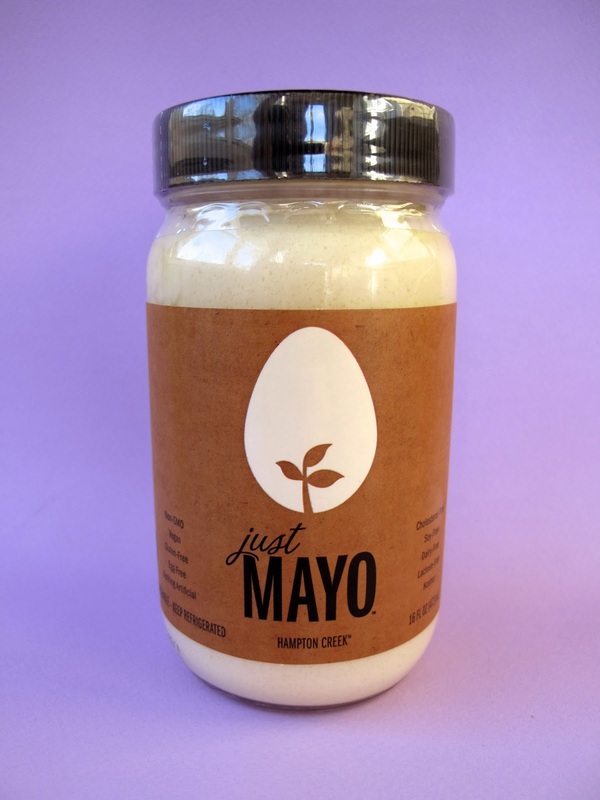 I've been hearing the hype about Hampton Creek's Just Mayo Vegan Mayonnaise for some time. 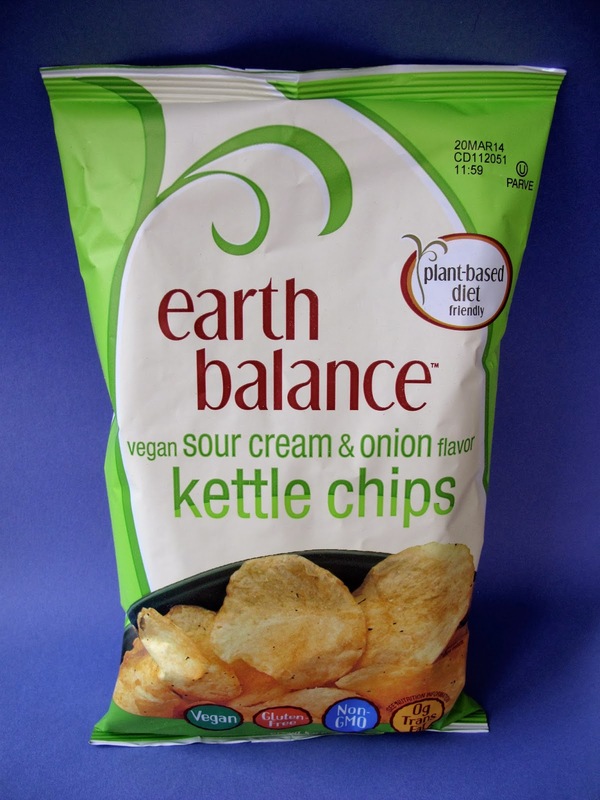 While I'm a big fan of Vegenaise and I find Earth Balance Mindful Mayo enjoyable, I think it's great that there is another option. To test out Just Mayo, I decided to use it in Isa's Chickpea Salad Sammiches recipe. If you are ever looking for an easy hearty meal, you really can't beat it. So let's open this jar of Just Mayo and see if it has that zing. I tried the mayo by itself and in the sandwich. By itself, it did have a little zing, but I wouldn't compare it to Miracle Whip (which I did adore as a kid.) The consistency was a little oily even after stirring, which was a little strange. To be honest, it didn't blow me away, but it was good. In the sandwich, I really couldn't tell one way or another. It did its job in the recipe and tasted great. 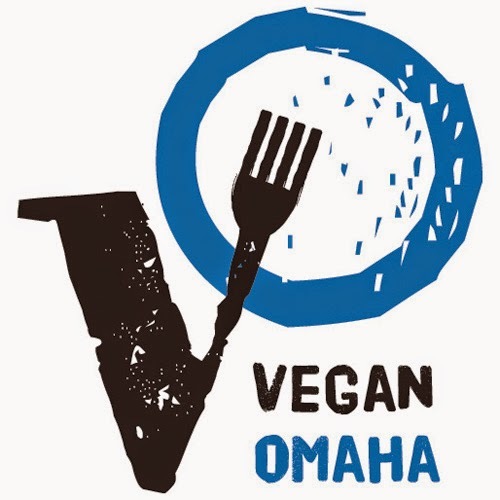 If there is someone out there that hates all other Vegan mayos, give this one a try. Personally, I think I'm just a Vegenaise person and it gets the automatic buy. I'm very happy this exists though!